This program is intended to meet the needs of working parents and is available Monday - Friday from 6:30am - 6:00pm. Children in our yellow and purple rooms begin working on their social skills. Each room has a large variety of educational materials that is interchangeable based on the different stages of development. 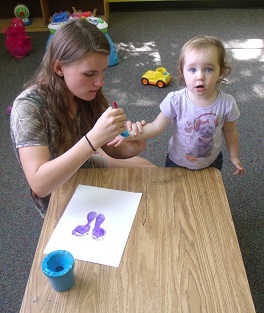 The teachers also incorporate easy craft projects, outside play time, songs, bible stories, and finger plays. 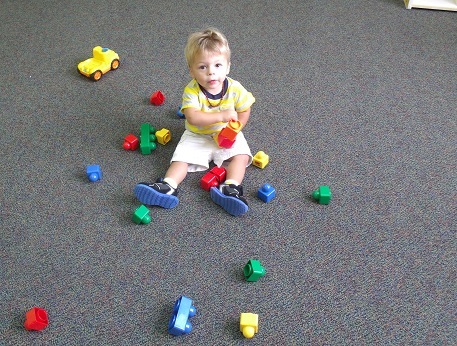 They are also introduced to the concept of colors, numbers, and weather. Children in our toddler programs work towards being prepared to attend our 2-year old preschool program in the fall after their 2nd birthday.